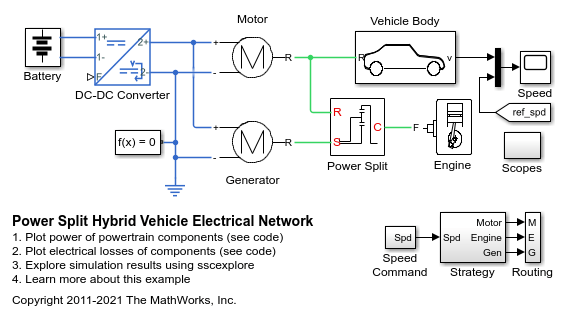 This example shows the basic architecture of a power-split hybrid transmission. The planetary gear, along with the motor and generator, acts like a variable ratio gear. In this test, the vehicle accelerates from 15 m/s to 20 m/s, and then decelerates back to 15 m/s. The power management strategy uses just electrical power to perform the maneuver. 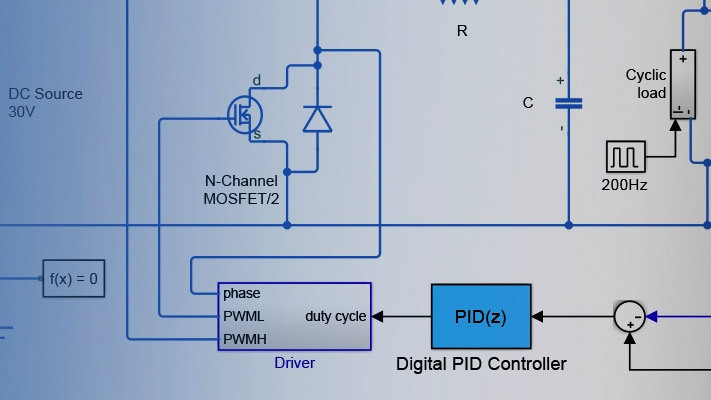 The motor, generator, and DC-DC converter are modeled using Simscape™ Electrical™ library blocks. These blocks use energy-based system-level equations that result in an efficient simulation whilst still capturing conversion losses. As such, the model is suitable for supporting design of the power management strategy. 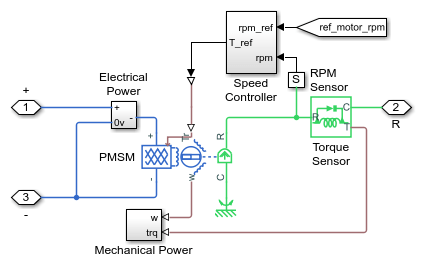 This example can be directly compared with the Simscape Driveline™ sdl_hybrid_power_split example which also includes more accurate representations of the engine, tires and mechanical gears. 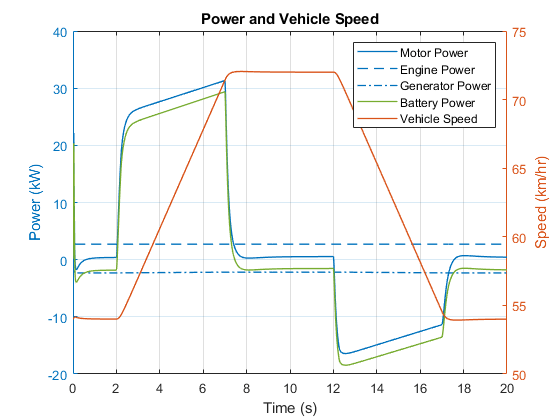 The plot below shows the flow of power from the engine, motor, and generator as the vehicle accelerates and decelerates. The generator supplies the DC network with a constant flow of power drawn from the engine. The motor draws power from the battery to accelerate the vehicle and then uses regenerative braking to feed that power back to the battery. 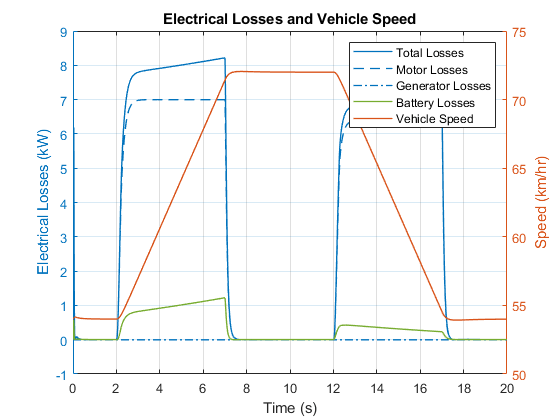 The plot below shows the electrical losses from the motor, generator, and battery as the vehicle accelerates and decelerates. The largest losses come from the motor and the battery.